PROJECT RUNWAY … The public is invited to join us for the 4th Annual “Project Runway” which will be held May 1 at 7:00 p.m. in the multi-purpose room at Four County Career Center. The evening will feature unique hair designs and makeup artistry with matching outfits, all created by senior Cosmetology students and modeled by junior Cosmetology students. Over 30 designs will be displayed throughout the show. A magical runway for the models will be designed by the Floral Design and Interior Design students. The Visual Art & Design students will be taking professional photos of the models as part of the presentation, as well as action photos throughout the evening. 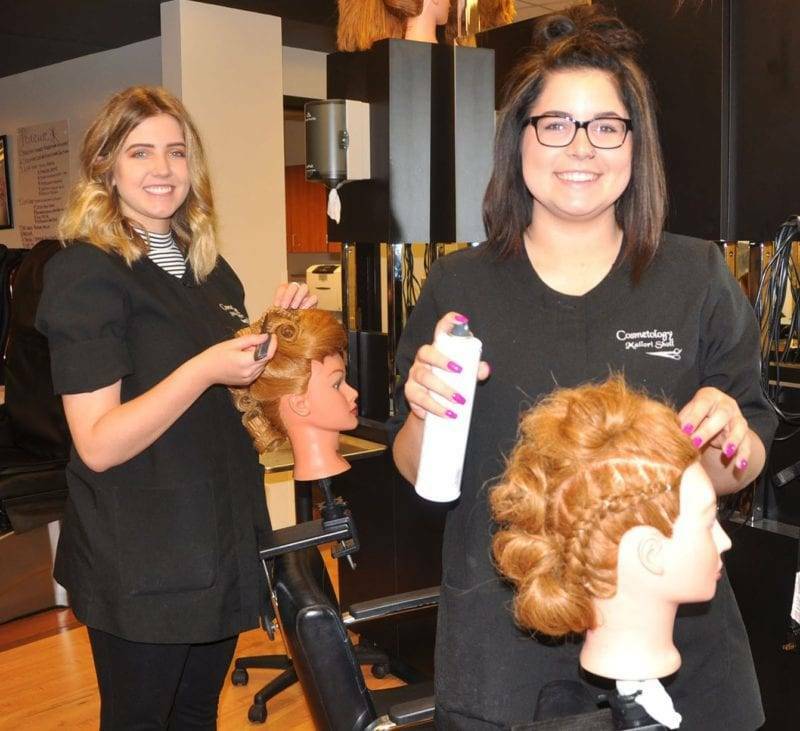 Shown above are cosmetology students (LEFT TO RIGHT) Jillian Knipp (Liberty Center) and Mallori Sholl (Hicksville) starting their creations. The evening is coordinated by Cosmetology instructor Kim Dunbar. Be the first to comment on "4th Annual “Project Runway” To Be Held At Four County Career Center"